ooh that;s lovely. i love the ladies print in the cottons pic above! those teapots and cups have sew dolly clackett written all over them! 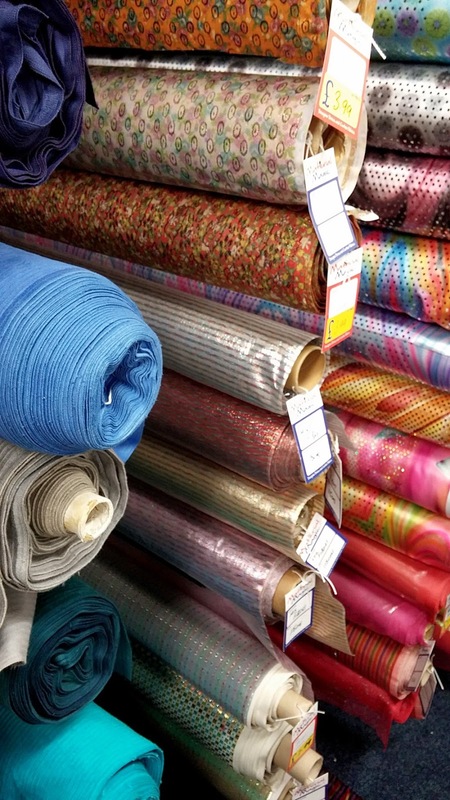 we don't have any great little fabric shops but we do have fabricland which makes up for it. i suppose we're not so far from london either and the delights of goldhawk rd! Oooh I have that last one in baby blue. There is one rather creepy bird that's putting me off the fabric though :-s have you spotted him? Have you spotted him yet? I saw it's actually been used on a modcloth dress! PS. I'm in love with your teapots now I've seen them made up. Gah! Oh how great for you! (Well, or dangerous, hee hee.) I wish there was a small fabric shop that was local to me. We do have a couple of gigantic ones in the city (at least) but honestly they are just usually TOO big for my taste, and I wouldn't quite call them local either. I love the looks of the prints your new store carries. What a fun place to shop. Glad to see you back after your trip! Yes, very dangerous indeed! I know what you mean about the gigantic shops...they can be so overwhelming when you just want to browse and pick up a little impromptu treat! It's interesting how fabric is displayed in your new store -- not the way I've seen it done in the US stores I've been in. Bolts are always placed on their ends in racks, not lying flat, and my big local fabric store puts the long tubes on their ends as well (with clearance tubes just jumbled on a flat surface). 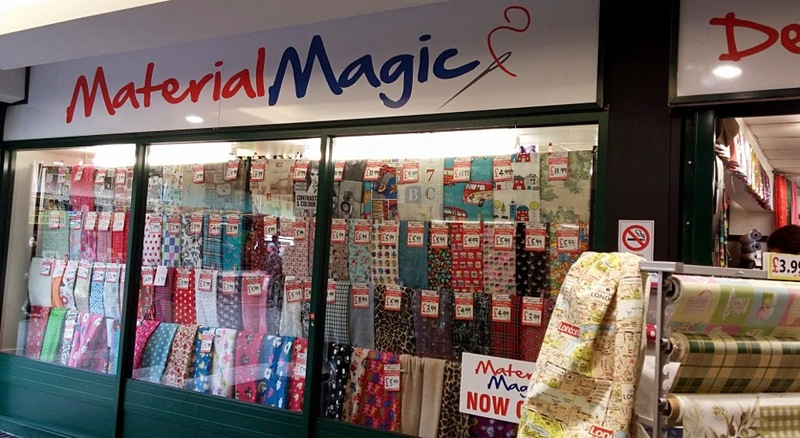 I think the way this store displays its fabric is due to the fact that it used to be a market stall. Once they get rid of this stock, they may start displaying it differently in future?!? 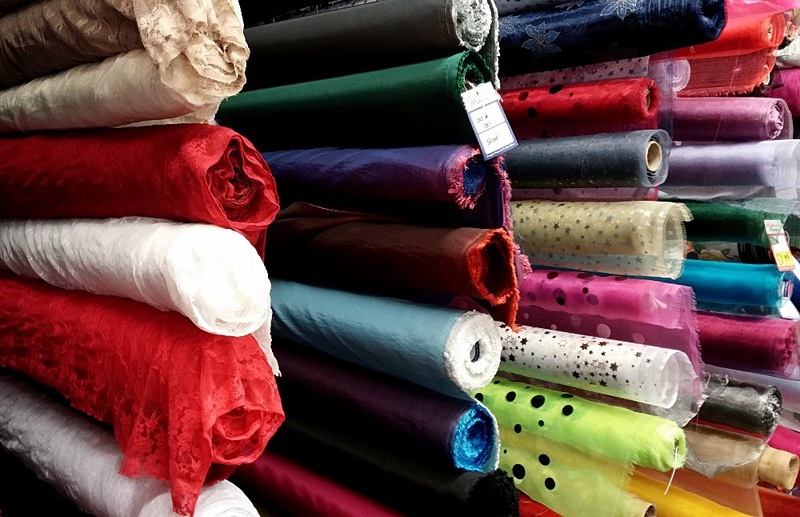 How lovely to discover a new fabric store. I found a shop dangerously close to me that does Liberty tana lawn. Oh gosh, that sounds heavenly! Looks good! I like your choces, and some of those cotton lawns are lovely. That teapot print is really adorable! It looks like Material Magic is a wonderful shop! I'm sure it will be insanely convenient for you to have access to it more regularly than the stalls at the market. I love the teapot and teacup print. It reminds me of Dolly Clackett. I'm jealous as the only haberdashery in my town is miniscule and has rubbish selection. Well I think I'm going to have to listen to the masses and make myself a Dolly Clackett dress out of the teapots! Oh no, booo to that! 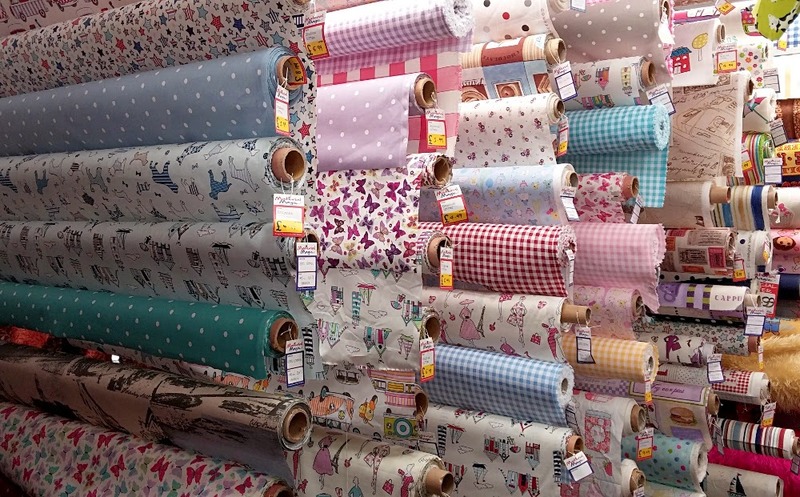 I'd love to have a decent fabric shop near me...my bank balance however is glad there is not! Excellent print selection...particularly the parrots...I'd even go so far as to say it is spiffing! Hehe, thanks! And yes, I'll be crying a few months down the line when I'm bankrupt! Hi. I just got back from Leicester and have detailed my fabric haul from Stuart's Fabrics on my blog at daisycreatesinsussex.blogspot.com/‎. I didn't have time to seek out other fabric stores but will check out this new one when I'm in the area again. 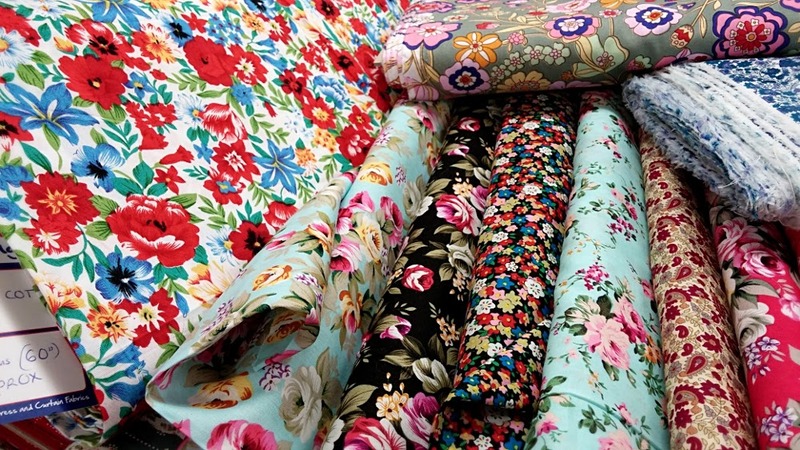 Looks like a lovely selection of floral ditzy prints. Oooh, lucky you! 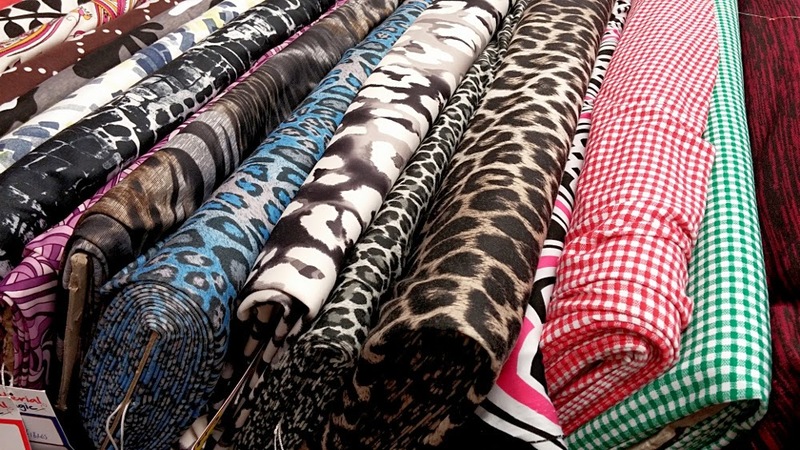 Lots of interesting looking fabrics there! Argh! You have to convince them to open a webshop! ;-) They have the most adorable fabrics.